Akron offers many great programs for students interested in a nursing career. With the rapid growth of the healthcare industry, graduates can look forward to exciting job opportunities at a number of local healthcare organizations. To begin your nursing career, it is important to understand the various nursing roles and the certifications each role requires to practice. Prospective students can consider three distinct nursing roles: certified nursing assistant (CNA), licensed practical nurse (LPN), and registered nurse (RN). CNAs play an essential role in healthcare by providing care for chronically sick or elderly patients in hospital wards and nursing institutions. They work in tandem with LPNs, who perform more advanced procedures like dressing wounds and monitoring vital signs. LPNs and CNAs are often managed by an RN, who directs the overall plan of patient care plan and independently administers many healthcare activities. To embark on a nursing career, students can enroll in a state-approved program at one of Akron’s accredited nursing schools. CNAs require only a brief certificate program and a passing score on the state-administered certification exam. LPNs must complete a 12- to 18-month certificate program and pass the NCLEX-PN national licensure exam. Ohio RNs can follow one of four prelicensure pathways: hospital diploma, associate’s degree, bachelor’s degree, or direct-entry master’s degree. All RN candidates must pass the NCLEX-RN national licensure exam. 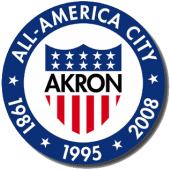 The Akron metropolitan area has a dozen accredited nursing schools, including large public institutions like University of Akron and small vocational schools like Akron School of Practical Nursing. According to the Bureau of Labor Statistics, Akron boasts more than 4,000 CNAs, 2,000 LPNs, and 7,700 RNs in the broader metropolitan area. Local nurses earn competitive wages. Akron’s CNAs earn a median annual salary of $23,750, its LPNs earn $40,000 per year, and the city’s RNs make over $62,000 in average annual pay. The city has a number of established healthcare providers including Summa Health System and Southwest General Heath Center. To assist Akron’s aspiring nurses, we have organized below a list of accredited local schools that offer state-approved nursing programs.